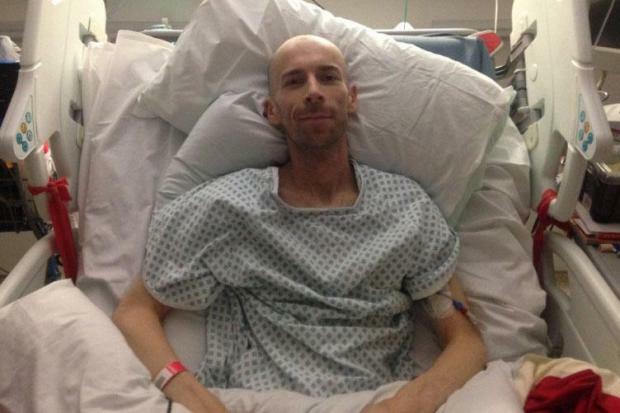 A top London DJ who documented his cancer in an inspirational online diary has lost his six-month battle against the illness, his family said today. Ben Smith, 38, known to fans by his stage name DJ Daredevil, died with family members at his bedside. Smith, who collaborated with a string of US hip-hop stars, released his debut record a few days before being admitted to hospital where he was diagnosed with aggressive lymphoma. 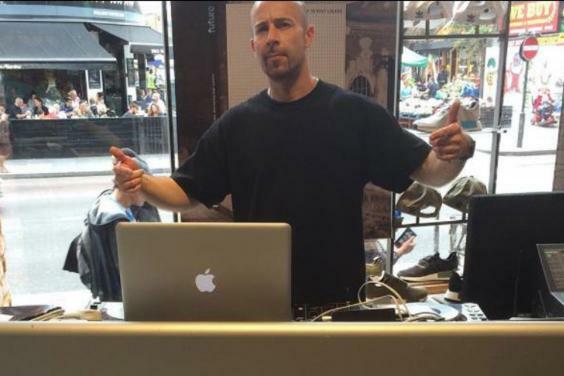 Mr Smith, who lived in Stoke Newington, was a sound engineer and was building a reputation among DJs following performances with Pete Rock, CL Smooth, Jazzy Jeff and Big Daddy Kane. He held residencies at London nightclubs including Scala, Bungalow 8 and the O2 in Kentish Town, and had won a string of national DJ contests. He was admitted to Barts Hospital before Christmas with intense back pain. Tests revealed a fast-growing type of lymphoma, which left him para-lysed from the waist down. The tumour around his spine cleared following chemotherapy and his family believed he was recovering. December 20, 2016: I can hardly walk, my legs have swollen up and I have the worst back pain I have ever experienced. They have done multiple blood tests and a CAT scan. December 25: I’m in Barts and after relentless tests they found a cancerous growth in my spine. I had radiotherapy and I’m determined to beat this and live and walk again. December 31: I’ve been diagnosed with high-grade Non-Hodgkin lymphoma. I have a growth around my spine and it’s affecting the nerves so I cannot walk. January 16, 2017: I’ve now been in hospital for four weeks and six days and still fighting hard. I started new chemotherapy which is very intense. My hair started falling out, so I cut it off. January 26: They warned about side effects. I have a sore mouth, I’m being fed through a tube up my nose. March 26: Doctors told me tumour in back has gone … I still have a long way to go. Matt, also a DJ, said: “Ben bravely documented his struggle — his fighting spirit amazingly strong, his will and determination an inspiration. We all assumed this marked the beginning of his rehabilitation. “However, a few weeks ago he developed a fever. More cancer cells were found, around his lungs.” He died on Monday last week. Matt said his brother was “optimistic, brave and inspirational” to the end.